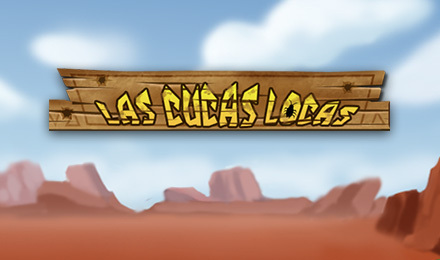 Las Cucas Locas | Join the fiesta at Moon Games! Ever wondered what it's like to be at an authentic Mexican fiesta? Good news – you can find out without hopping on a plane when you play Las Cucas Locas Slots! Put on your sombrero and get ready to party! You're invited to a fiesta! A Las Cucas Locas fiesta to be more specific. It's full of sombreros, piñatas, jumping beans and more! This Mexican themed online slot game is sure to get your maracas shaking! 3 or more Piñata Wild symbols will activate your exciting bonus round, and 3 to 5 Musician Scatter symbols will trigger your multiplied wins up to 100%. You'll have a newfound appreciation for cockroaches after you see them dancing around the reels and throwing the best fiesta you've ever been to!